Announcing click tracking for BestAzon Amazon geotargeting service! What is BestAzon Click Tracking? Sounds great? We thought so! 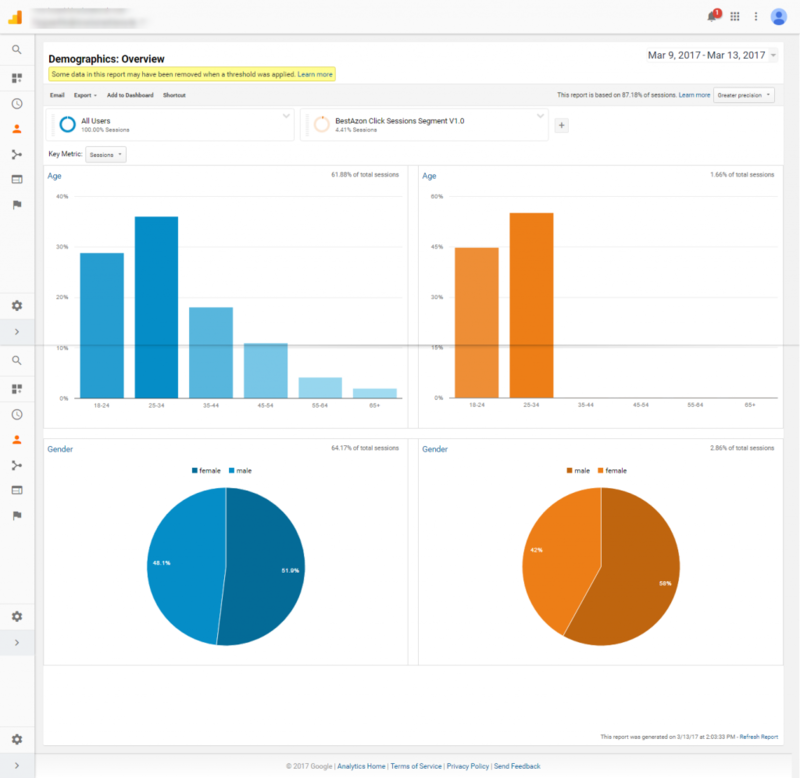 The dashboard is what you need if all you want is a high level view of BestAzon handled clicks. This easy to use, intuitive dashboard provides you all the key metrics (#, tags, countries, pages, links) in a single view. Most of the users would likely just need this! If you are a power user, you can use the Detailed report provided by BestAzon – using this report you can drill down to more specifics. Finally, if you are really “power” user, this is what should make you happy! We also provide a BestAzon segment on GA. Essentially you can choose to filter the data just for the sessions that had an Amazon click and then you can see any report provided by Google Analytics (e.g. the user demography report example below), or make your own custom reports to get all there is to know about these clicks. What is great about BestAzon Click Tracking? We did not want the user to need to make another login, or go to a new website to get the details of clicks on their website! That is how most other competing link localization services provide a reporting (if they do). The user has to go to a separate website, put in username and password to get the report. We know that is bad user experience – you should not need to go through all that to get that! Most of the other services provide very basic details that they can collect on user sessions (which means basic data – # of clicks, countries and tags). We believe that to make the reporting any useful, webmasters need to know a lot more e.g. user demography, session details etc.) We wanted to implement reporting in a way where all such information is available, and not just a subset. So, what did we do about these challenges? We figured out that a deep integration with Google Analytics solves both of these problems. Google Analytics is the defacto Analytics service used by most webmasters in the world. Even if you don’t use it as of now, it takes about 2 minutes to set it up and its free. As a result your BestAzon reporting is available with all the other website reports. 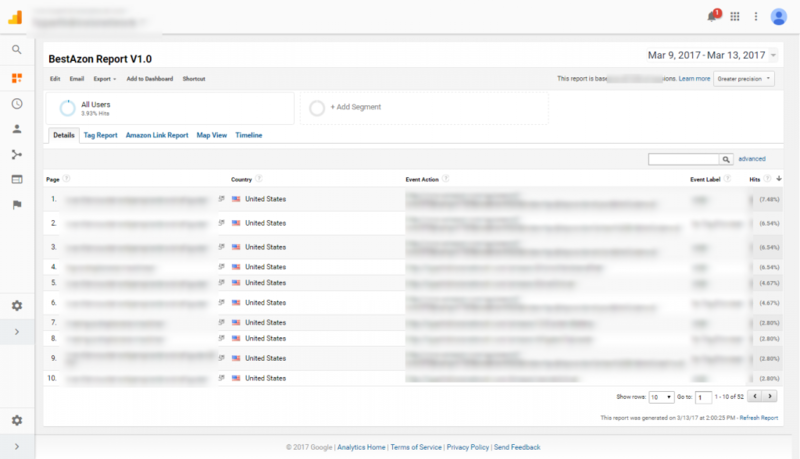 Alongside, Google captures way more data about your visitors than a link localization service can – as a result, with this feature, you now get access to the best Amazon Geo Localization click reporting available across all services. Not only you can get basic metrics, you can get advanced information like visitor profile, and session details.